The number of new property listings in October fell by 5.5% across the UK, and by 6.8% in London, with suggestions that recent declines in house prices, particularly in the South East and London, may have dissuaded homeowners from putting their homes on the market. According to the latest Property Supply Index, which is compiled by online estate agents Housesimple,com, and analyses the number of new properties listed each month by estate agents across 100 major UK towns and cities, new listings fell from 72,593 in September to 68,598 in October. The typical rush in autumn to move before Christmas hasn’t materialised, say experts, as new seller numbers dropped last month. October normally sees a boost in supply coming to the market, as people rush to move before Christmas, but this hasn’t materialised, as new stock levels were down in more than half (59.7%) of the 100 towns and cities analysed. St Helens in the North West saw the largest decline in property supply, with new listings last month down by more than a third on September figures. Housesimple.com CEO Sam Mitchell explained: “The immediate issue is that a combination of interest rate rises, Brexit fears, and a barrage of negative news surrounding house prices, has spooked homeowners. 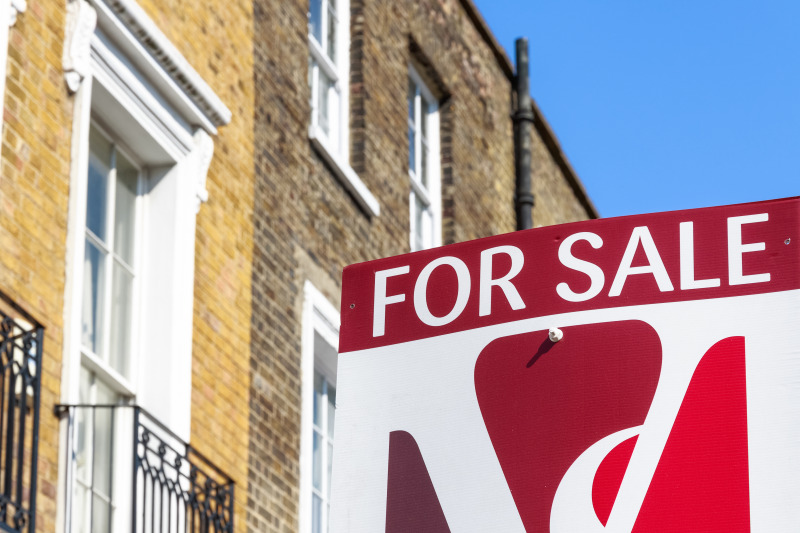 With house prices falling in a number of areas, most notably London and the South East, homeowners are choosing to wait and see what happens next before making the decision to move. And for many families who are being squeezed financially, while they might have equity in their homes, they may not have the liquid funds to cover buying and moving costs such as stamp duty and solicitor fees. New listings in London fell by 6.8% in October versus September. Richmond upon Thames experienced the greatest drop in supply levels, with nearly 20% fewer properties listed for the first time in October. Hammersmith & Fulham saw new stock fall by 15.1%, and Camden similarly saw listings fall by 14.7%. Only five London boroughs saw an increase in property listings in October in comparison to September, with Barnet seeing a 10.1% rise. Bexley and Southwark both saw a 5.6% increase in new supply last month. Mr Mitchell added: “After supply picked up in September, we were hoping this would lead to healthy new stock levels up to Christmas but the resurgence in listings was rather short-lived, as new supply fell again in October; albeit just below 70,000. This can hardly be considered a collapse, but stock levels have been bouncing along at the bottom of the barrel for some time now, and no-one seems to know how to boost supply. “Building new homes will help in the longer term, and the Government has set lofty house-building targets, but we need more available stock now, not in three to five years. The Chancellor could have helped stimulate the market in his latest Budget by cutting stamp duty for older downsizers, to boost stock at the top end of the market, but he chose instead to hit landlords.